In just over 13 years Vortex Optics has risen from a small sporting goods company in Wisconsin, to a well very respected optics manufacturer. 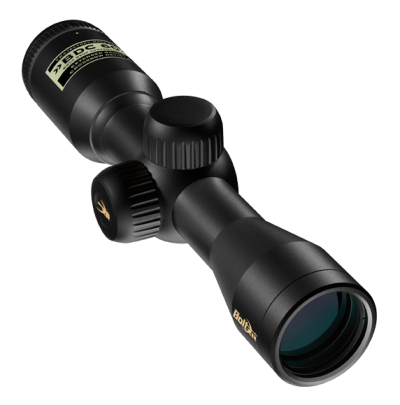 This year at SHOT Show Vortex announced the addition of the Golden Eagle HD 15-60x52mm rifle scope. The Golden Eagle has been specifically designed to deliver accuracy and clarity for long distance shooting. Though many urban or even suburban law enforcement agencies would find the power settings prohibitive and unnecessary, there are more rural agencies, especially in the western States, that could benefit greatly from a precision scope like this. 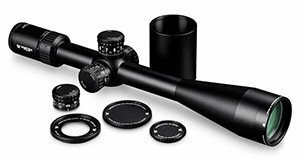 Sig Sauer has been very well-known in the pistol and rifle market for years, but did you know Sig Sauer has recently added rifle scopes to the list of their product offerings? 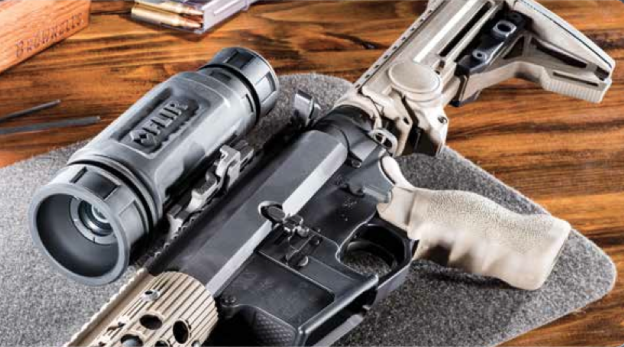 Coming from their Electro-Optics Division, from what we can see the Sig Sauer scopes appear to be high quality models worthy of the Sig Sauer name and consideration by many shooters. The recent Sig Sauer models are the Whiskey series scopes targeted for hunting, and the Tango Series aimed at professional military and law enforcement shooters. We’ll take a look at both the Tango 4 and Tango 6 scopes, which offer shooters a wide variety of options to meet mission specific requirements. EOTech is one of the hottest brands under the L-3 Communications umbrella. However, the U.S. Military has recently discovered the company’s assurance the sights would function in extreme temperatures does not hold true. This stunning announcement has continued a tailspin effect on what has been one of the world’s largest and most popular holographic red dot sight manufacturers. EOTech really soared into the public lexicon as the wars in Iraq and Afghanistan went into full effect. America’s military recognized much of the combat was street to street, house to house, and room to room. With combat occurring in close quarters, the standard iron sights on the M-16 and M-4 rifles were just not efficient. Red dot, or holographic weapons sights technology had been steadily improving for decades, and the military was eager to give its troops a head’s up advantage in fast target acquisition and aiming points to win the fight up close. The Trijicon ACOG is an outstanding optic for medium to longer ranges, but EOTech reflex sights provided a great solution to close quarters battle. 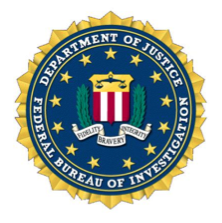 The Federal Bureau of Investigation (FBI) has made the news once again, as one of the largest American Federal law enforcement agencies has selected the Aimpoint Micro Sights for their elite units. Aimpoint is one of the world’s leaders in holographic optics (often referred to as red dot or reflex sights), and their selection is just one more nod of recognition for their superior products. The Aimpoint Micro Sights are a combination of the latest technology in holographic sights, with the major push in the market to reduce the size and weight of the optic. The Aimpoint Micro Sights will be a fantastic addition to the Bureau’s arsenal in combating terrorism, organized crime, bank robber, and drug trafficking organizations. The Nikon P-223 BDC AR-15 rifle scope. Nikon is one of the most recognizable and impressive optics companies in the world. From some of the most advanced cameras to world-class rifle optics, Nikon is in the top of the list. The Nikon P-223 AR-15 scope is just one of those great optic offerings, and has much to offer in precision shooting with the AR-15. Though not thought of as a precision rifle nearly as much as the larger .30 caliber versions, the AR-15 has several distinct advantages that can make it a fine designated marksman rifle. This has already been proven accurate in both the conflicts in Iraq and Afghanistan. Though there may be some limitations of the smaller .223/5.56mm cartridge, there are also some distinct advantages, particularly in short and medium ranges that are typical for law enforcement engagements. 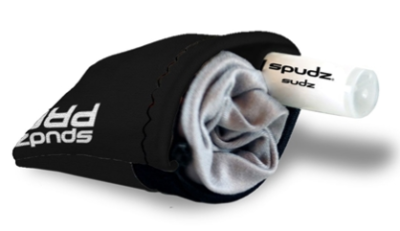 The Alpine Innovations Spudz Pro with Spudz Sudz Cleaning bottle. Alpine Innovations is the brain child company of Darren Jones, who has been producing every-day solutions since 2002. What started with the need to fix a muddy fly line has turned into a company focused on providing outdoor enthusiasts with products to make their adventures easier and more efficient. One of those products is the Spudz Pro optic cloth. To help clean lenses and optics, Jones combines a premium microfiber cloth with a neoprene pouch with help from his seamstress wife, Shellie. Alpine Innovations did not create the micro-fiber cloth, but they did invent the lens cleaning micro-fiber cloth that is integrally sewn into a carry pouch. The pouch can be attached to a key ring, belt loop, or Molle with a clip, or can simply be tucked into a pocket for easy carry. The new Tactical Electronics HHIT Flex camera. Tactical Electronics is one of the primary manufacturers of the optical solutions needed by today’s tactical (SWAT) and explosive ordnance disposal (EOD) teams. From extended pole cameras to fiber optic scopes to under the door micro cameras, Tactical Electronics is developing solutions for just about every application. Tactical Electronics has just announced the release of their new HHIT Flex camera. This new hand-held surveillance camera, provides (5) different flexible camera necks to meet the tactical needs of law enforcement SWAT or EOD teams. The compact HHIT Flex camera is an excellent example of the mission specific optics solution provided by Tactical Electronics. Designed for those times that up close and personal is the only option, the HHIT Flex camera offers the operators a stealthy means of gaining intelligence, while remaining behind available cover. FLIR is one of the world’s leading developers of infra-red or thermal sighting systems. What was once a purely military technology, infra-red sighting options have been growing in law enforcement for several decades now. However, those FLIR units have typically been large optics mounted to helicopters, vehicles, or robots. The hand-held units have been more directed at area searches to simply locate a person’s body heat in dark or thick terrain. The new R-Series ThermoSight from FLIR is one of the first optics truly designed to give law enforcement the ability to “see” potential targets in conditions that would normally leave officers blind, or worse, exposing their position by the use of external lighting. 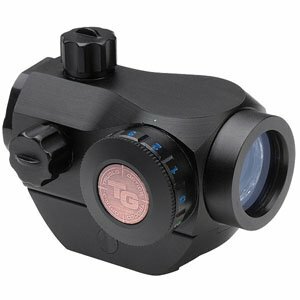 One of the newer reflex dot optic offerings by Tru-Glo is the TRITON 20mm micro optic. The Triton carries most of the features that are in demand by professional shooters, and packages the overall optic in a nicely compact housing. Coming standard with an integrated Weaver-style mounting system, the TRITON also has the option of a 1″ Picatinny riser mount as well. Tru-Glo made their name famous with some of the best after-market sights on the market. With fiber optic technology, shooters had the opportunity to see in the dark when using “iron” sights. The fiber optic technology takes in sunlight or ambient light, and produces a glowing light in darker situations. I have some Tru-Glo sights on a turkey hunting shotgun, and they’ve proven to be perfect for low light situations. 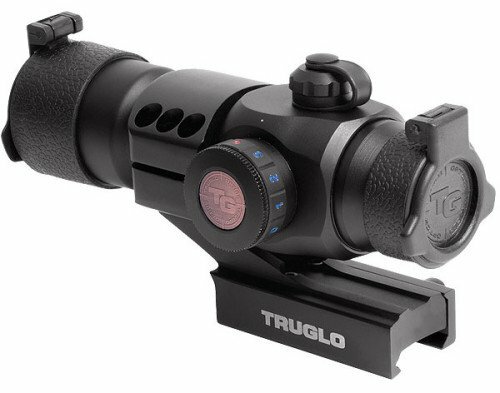 The TruGlo Triton reflex optic is a red dot reflex optic that seeks to provide a quality product at a reasonable price. Having a similar appearance to several tubular red dot optics on the market, the TruGlo Triton offers several features that may sway a shooter away from more expensive alternatives. TruGlo has produced several important advancements in the optics used by a wide range of shooters, including military, law enforcement, hunters, and archers. Many of these advanced optics have revolved around their fiber optic sight tubes that can retain light even in low-light conditions.